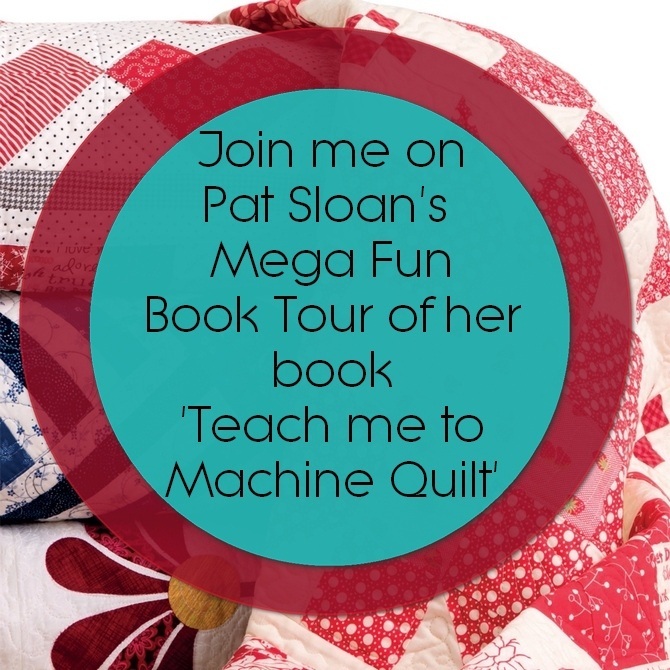 Hello Friends, I am SO happy to be a part of Pat Sloan’s Mega Fun Book Tour celebrating the release of Pat’s new book: Teach me to Machine Quilt! 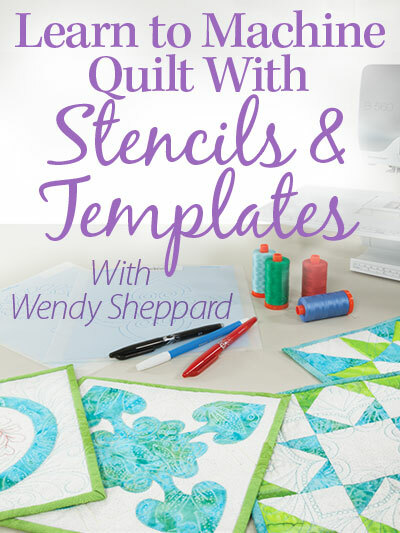 I always admire Pat for being so willing and ready to teach quilters. 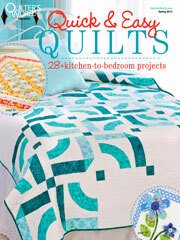 I am excited to see that her new book deals specifically on machine quilting on a domestic machine. 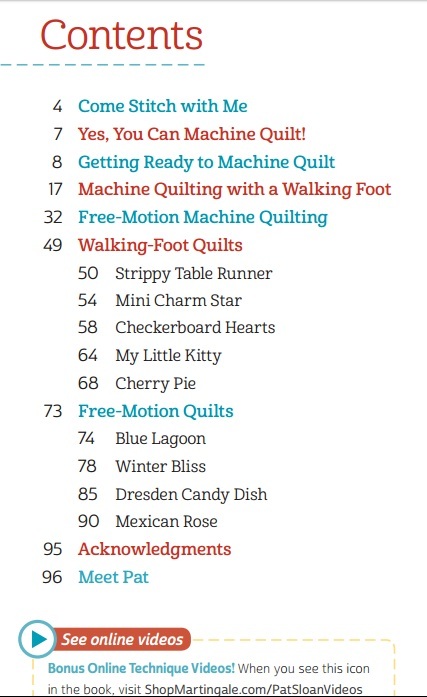 You all know how I feel about domestic machine quilting. :) Pat spoke to my heart when she wrote in her book introduction about quilting our quilts is a “sweet ending” to our quilt projects! 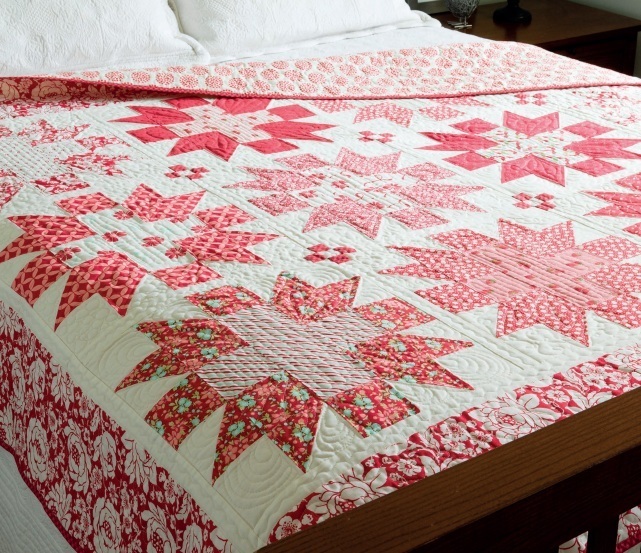 Pat has tackled the topic of domestic machine quilting from the very basic. 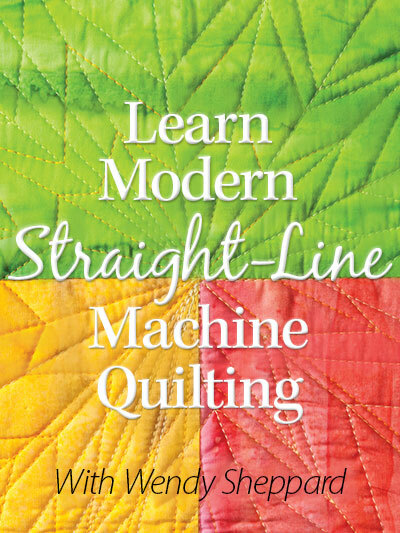 So, if you have thought about trying out quilting your own quilts on your machine, and are still hesitant, check out Pat’s book! 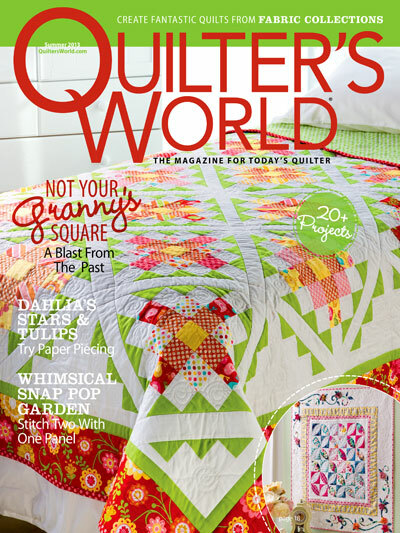 Reading through the book, I thought Pat has a fantastic treatment on preparing your quilts for machine quilting, among other aspects dealing with domestic machine quilting. 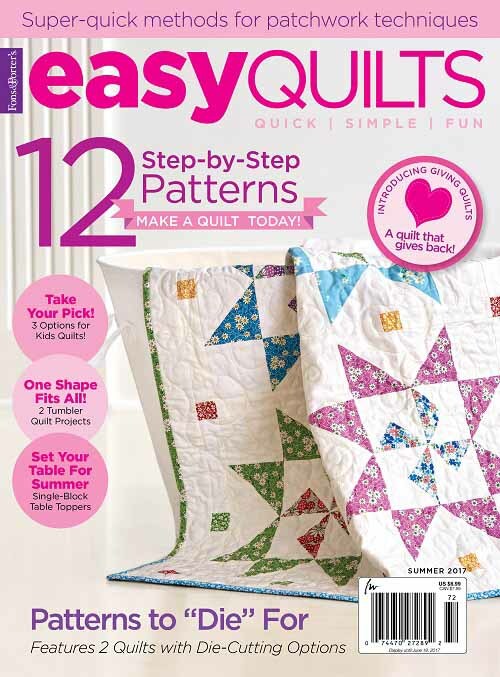 Pat also has videos showing the different basic quilting skills she introduces in the book. Pat also included a few fun projects – REAL projects, with full instructions, for you to make to practice machine quilting for yourself. 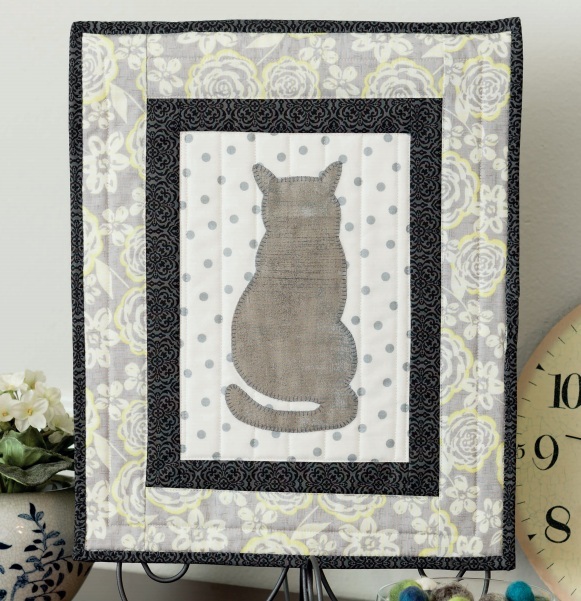 I was inspired by Pat’s kitty quilt…. 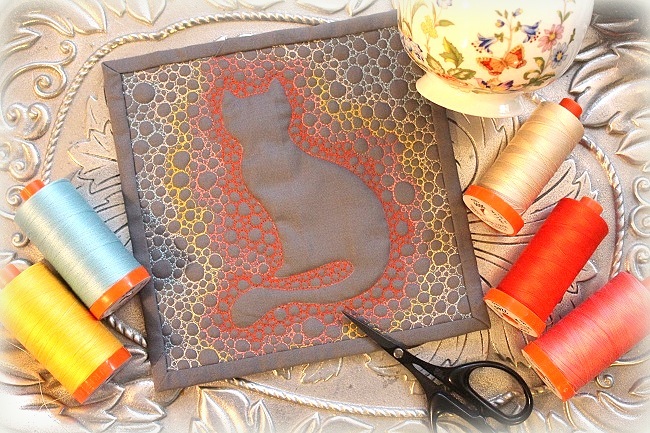 … to make my version of of a mini kitty quilt. 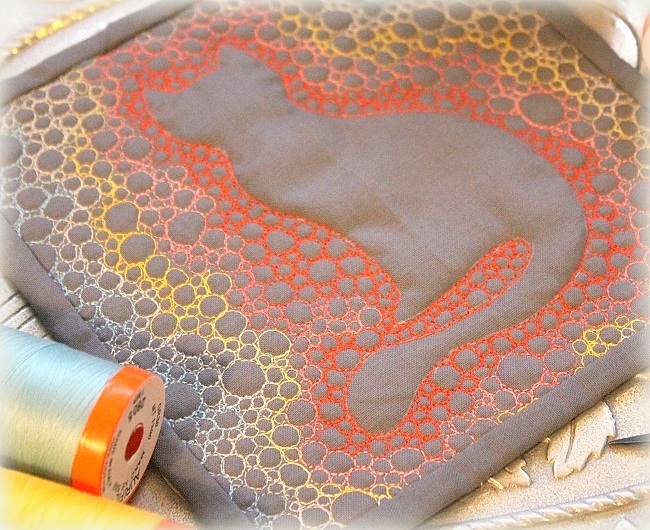 Instead of applique, I traced the silhouette of a kitten on the fabric to make my quilt sandwich. And I just fill the background with pebbles — very repetitive, but together, the pebbles make a nice visual effect. 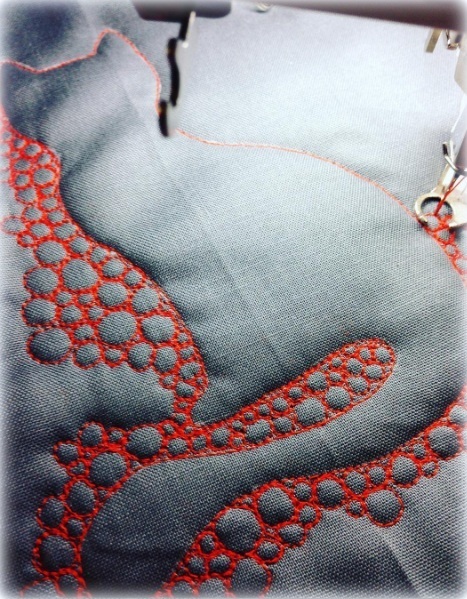 Sometimes it can be intimidating to a beginner machine quilter to have to try out the different techniques and motifs. But if you just take one technique at a time, as outlined in Pat’s book, I think you will find yourself really proud of your machine quilting accomplishments a few months from now, a year from now, and many years from now! Here, you see my little mini quilt with the colors I used to quilt the mini. The Aurifil Mako Cotton 50 wt remains a favorite weight of mine for domestic machine quilting. GIVEAWAY: Pat is giving away 5 copies of her book over on HER blog. HAVE FUN, Friends…. and with that, Meow! See you next time! 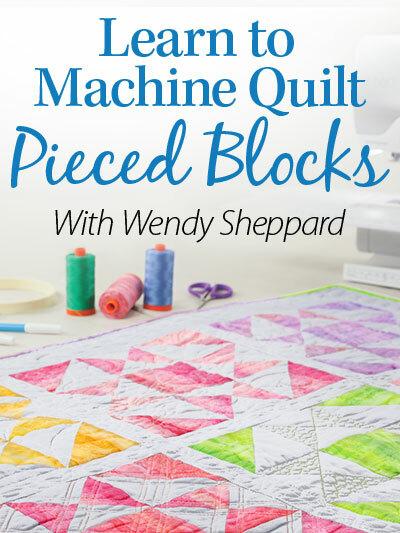 And remember, machine quilting is a JOURNEY – a fun one because you will find yourself surrounded with friends who are always happy to share a tip along the way! 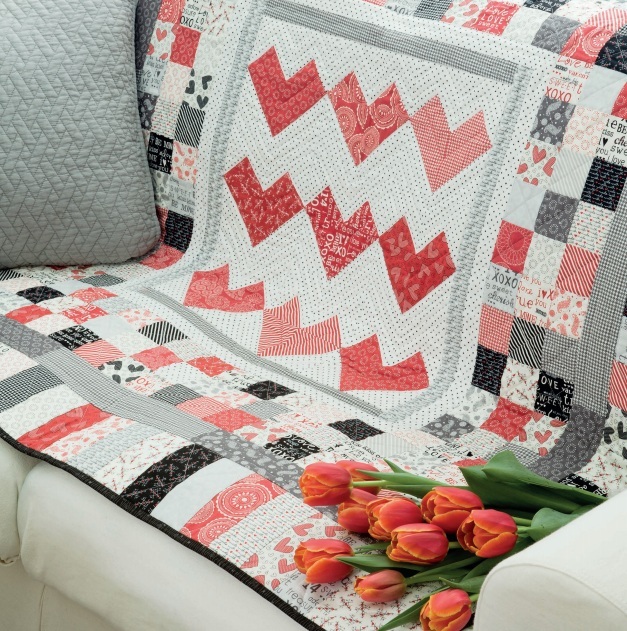 Aurifil Designer of the Month 2016 Block 2 is out! I am excited to share with you that Block #2 is now available!!! 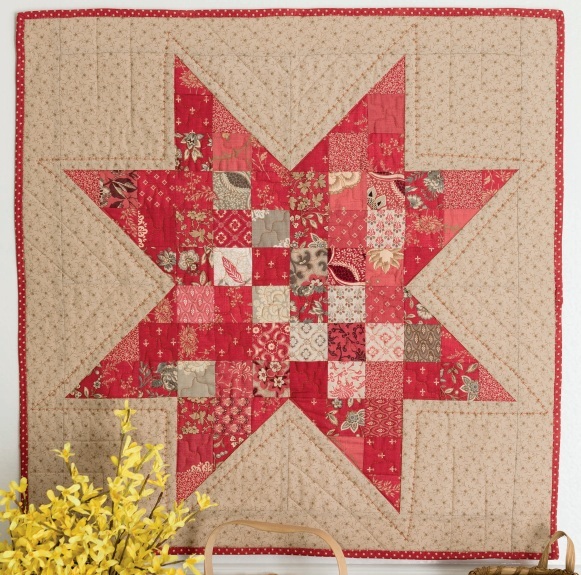 Click here to find out more about the beautiful block designed by Kari Carr! AND — you again have another chance to win a box of big Aurifil thread spools by making a block. Click here for the details (be sure you scroll down to the bottom of the post!). And with that, I hope you have a fanta-bulous day! I have to run for now — too many things to get done, and SOOO very little time. Hugs to you all!